This Sunday is July 10th. I am on vacation and will be spending it on the beach with family. I'll keep you posted on the sunburn status. I should put on my shades because there is a bit More Light shining on us these days. We have been working for this day for a long, long time. The "B in our bonnet" has been swatted and our new, improved, revised, and far less grumpy Book of Order goes into effect on Sunday, July 10th! For the scoop, More Light Presbyterians will tell you all about it! "This Sunday, Presbyterians from Seattle to Nashville are praising God and celebrating. Our church has moved another step closer to fully embracing the love and inclusion taught to us by Jesus Christ," said the Rev. Janet Edwards, co-moderator of More Light Presbyterians, the oldest pro-LGBT faith organization that relates to the Presbyterian Church (USA). "We know God is at work when almost all presbyteries voted more strongly for the welcome and inclusion of lesbian, gay, bisexual and transgender members than ever before, in the history of the Presbyterian Church." Here is an idea for nominating committees and PNCs. Sunday (the day the new rule goes into effect) would be a good day to be conscious about nominating an LGBT person for elder or deacon or to serve on a presbytery committee. It would also be a good day to encourage your PNC to choose as your next pastor someone who has been previously excluded from our unjust and wrong policies. More Light Presbyterians has some new ordination guides to help with any questions or confusion. It is time to live into it and own it. We are only beginning. 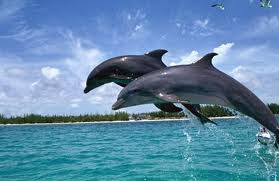 Meanwhile, I'll be on the beach and I'll let you know if I spot any dolphins!